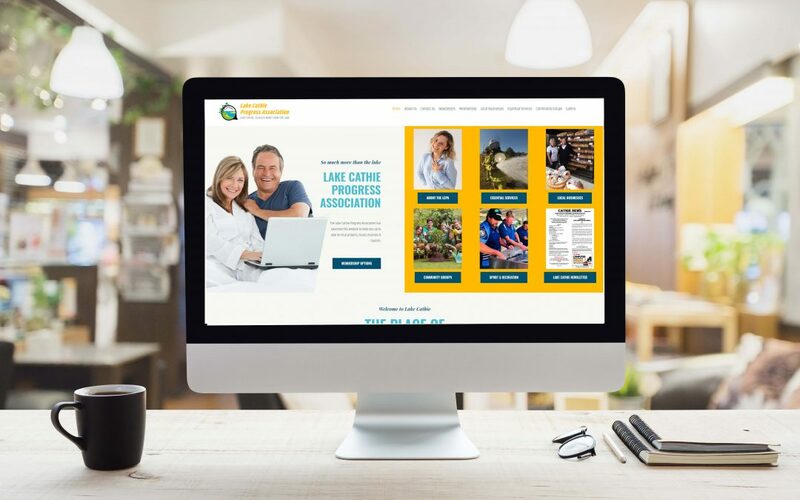 The Lake Cathie Progress Association needed a new website. 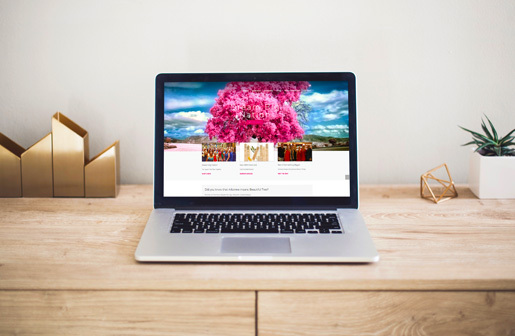 Their old website was created over 10 years ago and the new mobile friendly and up-to-date site needed to reflect the growing community’s marketing efforts and business co-ordination that is helping to attract and connect so many people to and within the area. We worked with the Progress Association’s Committee to apply for a government grant to build the new website. Funding was secured and we were able to get straight to work. The website leverages the areas distinct local beauty and Mediterranean climate and is now a true reflection of the town, people and plans of Lake Cathie – past, present and, most importantly, future! The LCPA are thrilled with the end result and are delighted with the positive feedback of their investment. Video lessons were created and recorded by Ben to demonstrate the ease of editing and changing information within the website so that current and future committee members will have the resources and know-how to make changes themselves. Something that is often an essential need with any community organisation or group site. These videos were gratefully welcomed for the flexibility of what the Association is all about – progress! If you are looking to bring your website up to date with where your business, school or community group is heading contact us to get the ball rolling and make progress!! Lake Cathie Progress Association Inc. Recently Ben Waters of Ben & Sam upgraded the Lake Cathie Progress Association (LCPA) website www.lakecathiepa.com. Ben’s professional and outstanding service surpasses any service that we have encountered over the years. Needless to say we are extremely happy with the website which has increased our “traffic” by 100% in a short period of time and no doubt visitors to the site will continue to grow for the benefit of the Lake Cathie community and businesses including the many “Links” within the website. Ben & Sam were also Guest Speakers at the LCPA Inaugural Business Networking Dinner held in October 2018 imparting their knowledge on best business practices. The business people who attended the successful event provided very positive feedback on the very informative and educational presentation. If you are looking to build your business or community organisations we can highly recommend Ben & Sam. The team at Mid Coast Kitchens are well known for providing the personal touch when it comes time for your dream kitchen design or renovation. They build beautiful and functional kitchens and they were in desperate need of a website that displayed their creations in the same exceptional light and fostered inspiration in the minds of its visitors. Their old website just wasn’t cutting it anymore. 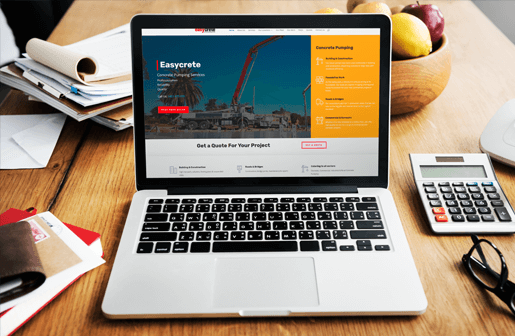 It was a basic 5-page website lacking in all important information and imagery that such a business requires, and by today’s comparison was letting their brand down dramatically. With kitchens being a very visual experience, special care was taken in the website design phase to ensure that the design elements played a really big part in the overall user flow through and experience of the site and brand. 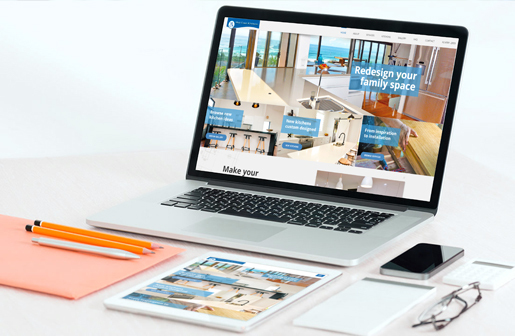 The end result is a highly functional website with easy to browse text, images, galleries and FAQs to help make choosing a kitchen design as easy as it should be. It represents the people behind the business, builds trust through transparency of information, and is now a valuable tool used both in their physical showroom and online to present specific design features and options as well as overall finished projects to their potential clients, and open 24/7! OPTIMISATION = MORE EYES ON YOUR SITE, MORE SALES, LESS ANGST! From our analysis of Google Analytics, we found that the majority of people visiting the site browsed using a tablet device. 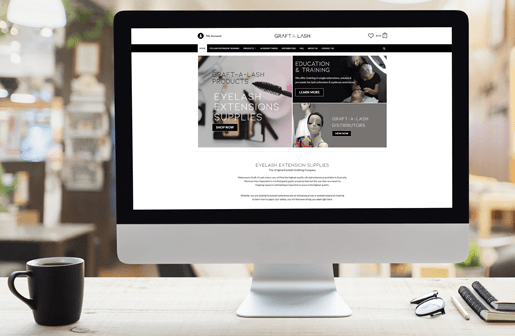 This indicated that the website needed to be optimised to display all visual content just as good as if it was viewed on a laptop, desktop or smartphone. The end result is truly impressive and responsive. DO YOU HAVE AN INFORMATION OR VISUALLY HEAVY SITE THAT NEEDS MOBILE OPTIMISING? 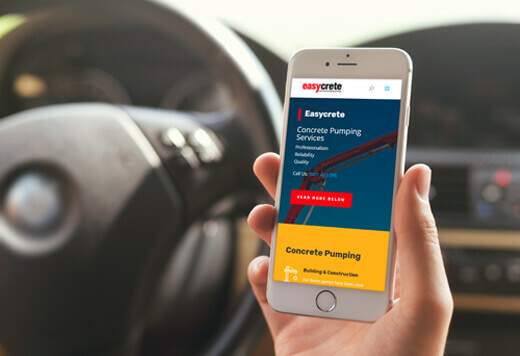 If you take a look at your website on your mobile phone and find it scattered and hard to read and use, chances are your site is not mobile optimised and you may be upsetting a lot of potential customers right away, making it hard or even impossible for them to purchase from you. Mobile optimisation can no longer be ignored as smart device use and convenience is only rising and not going anywhere anytime soon! – Contact us to discuss your options for an upgrade to your best brand foot forward today. Mid Coast Kitchens was in need of a new, fresh and modern website to promote and show off our great work. As we had dealt with Ben & Sam for many years when needing technical assistance, it was an easy decision to trust Ben & Sam with the online presence of business. They were brilliant – so easy to deal with…. prompting us along the way when we needed help and always just a phone call away when we had questions building the framework. We make wonderful kitchens and time is money, so Ben & Sam let us do what we do best – and they certainly did what they do best! Mid Coast Kitchens well into the future.